What’s that, you say? More haunted houses??? Why yes. ‘Tis the season! 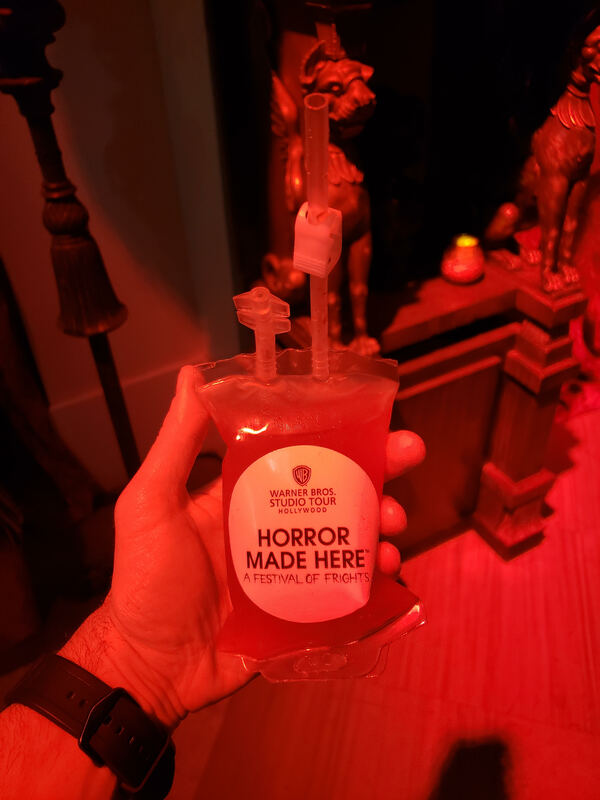 Ok, so I have to say that I went to the Warner Brothers backlot Horror Made Here festival last year (which was their first year doing it) and even though I did have fun – I felt that it was lacking in the ‘ooomph’ department. Well, I am here to tell you that this year’s festival has ‘ooomph’ and then some! One of the aspects of this year’s Horror Made Here that hit me right away, was the fact there was an actual theme as soon as you walk in. You wander through a carnival-type setting, complete with creepy clowns, carnies, and giant bearded ladies (oh my). From there you enter the festival where you can feel the terror in the air. Ooooooh, is that the Fangtasia bar from the show True Blood?!? Yep, it is (and make sure to get a special blood bag drink if you go in). Ok, let’s talk mazes. 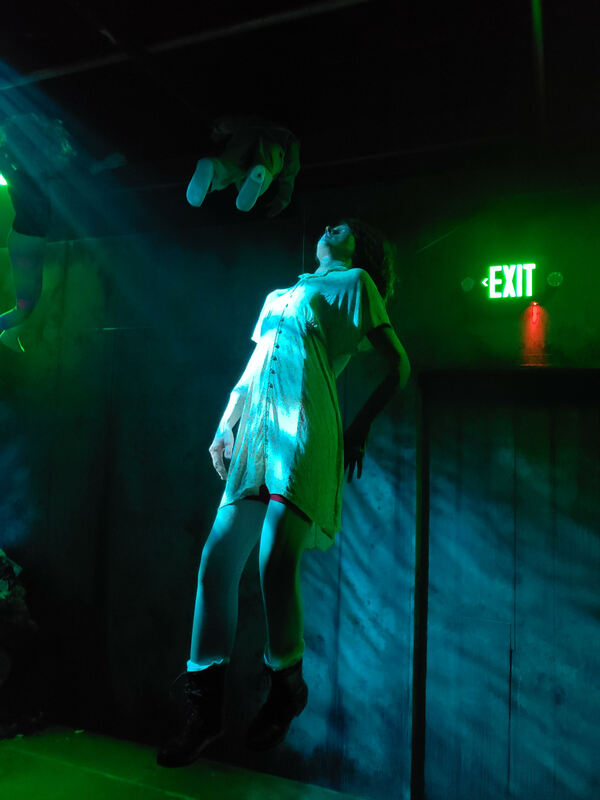 Returning this year is a Conjuring ‘universe’ maze (complete with our favorite nun, Valak….and our favorite creepy doll, Annabelle) and also a maze built around that worldwide phenomenon called IT (featuring our favorite creepy clown, Pennywise). The latter, was pretty much an entirely different maze from last year and wow…….it was amazing. You’ll journey through ‘the movie’ in maze form, stopping by Beverly’s blood-soaked bathroom and Pennywise’s lair along the way. This maze honestly blew me away, and the live actors were fantastic. Rounding out the mazes were Batman: Arkham Asylum (great visuals and actors in this one), a trip to Nightmare On Camp Crystal Lake (with special appearances by Freddy Krueger and some camp counselors…..and Jason of course), and a forbidden screening of The Exorcist. The latter being the best surprise of the night, as you actually walk into a church (used in The Lost Boys and Monster Squad) and sit in a pew to watch footage from the 1973 William Friedkin horror classic. Only it’s not just the footage you’re watching. Keep your eyes peeled for ‘surprises’. Again, I have to say – I was impressed this year with WB’s Horror Made Here. It felt much more cohesive and tied into the overall themes of the movies on display much better. Add a little more fog to make it spookier and lose the Beyonce playlist from the DJ, and I will be an even happier camper next year. Those are minor gripes, and I take my hat off to those involved with putting everything together. And btw, I had more fun here than at Universal’s Horror Nights this year. Shhhhhhh. Don’t tell anyone. Or tell everybody. Go check out WB’s Horror Made Here! This entry was posted in Uncategorized and tagged 2018 best haunted houses, camp crystal lake, conjuring maze, dirty horror, horror made here, horror made here review, it maze, pennywise, southern california haunted houses, the exorcist forbidden screening, warner brothers, warner brothers horror made here, wb horror made here by Dirty Horror. Bookmark the permalink.